Last week we held a Member Appreciation Mingle (many thanks to Blair Gamble at the Travelodge Belleville for hosting us) and while the weather didn't cooperate for us to be on the patio, we had a great view overlooking it from the Windows Ballroom and a wonderful turnout! Apparently, it's been a while since we had such an event and here at the Log Cabin we tossed around a few ideas to express our appreciation for you. Events are always better with photos so we brought along our "Celebrate" backdrop - find the photos on our Facebook page - in addition to presenting plaques to some members who (for whatever reason) didn't have one or may not have a place to hang it. If you don't have a plaque or are missing some year stickers - let us know! We'll come by for a presentation! We love having prizes to give away during the business card draw but we didn't think we could spend enough to truly convey our appreciation of you - so thanks to Sarah Hannah and our Membership committee, we did some thinking and realized, we have a few things we could give away that you might not have known about or have paid for in the past! Suzanne Hunt, our Board President, drew the winners and I don't think we could have hand-picked them better! If you haven't been to visit their shop at 395 Front St., please go! It has an amazing selection of jewelry from turquoise to topaz in incredible designs and settings. Jesus is also a very talented artist and has created glimpses into our region and Downtown that make you think Belleville could have been inspiration for Monet... https://artejesusestevez.blogspot.com/ It should be on your list of places to stop the next time you're looking for a gift (or want to treat yourself)! 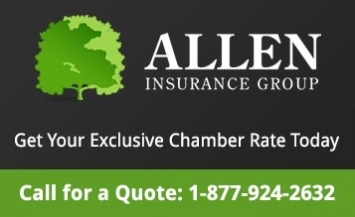 The Chamber is all about connecting people to each other and we welcomed Salin as a representative for TD Canada Trust just a few months ago. I believe this might have been his second mingle, so this opportunity - which includes a tent at Waterfront, logo placement on all promotional materials - will be a great way for him to meet more people in our community at this Top 100 Festival rated event next July. Stephen has been a faithful attendee at almost every breakfast and mingle for at least the last 18 months, so it was wonderful to present him with this prize that will allow him to advertise the Shrine Club, speak for a few minutes at the breakfast and enjoy the meal with 3 additional representatives/friends. Nothing like getting an immediate return on your investment! Shaun submitted his registration online last week, just before the Mingle and was invited to come out for the night... Friendly Fires is one of Canada’s largest fireplace, barbecue and solar retailers and they are opening a location in Belleville down on Dundas St. (across from Dairy Queen) soon! Shaun is originally from Belleville and looking forward to continuing his career back in his hometown. We're excited he and a guest will be joining us in February for the Annual President's Dinner (celebrating our member's milestones and contributions to the community). Watch for their Grand Opening coming soon! Until then, enjoy what summer we have left!